State Rep. Dawnna Dukes has said she will resign on Jan. 10, likely prompting a special election in the Democratic-leaning district. Dukes, an Austin Democrat, abruptly announced her plan to retire in late September, citing health issues related to a 2013 car accident and concerns over caring for her 9-year-old daughter. Her announcement came amid an ongoing investigation by the Travis County District Attorney’s office into Duke's alleged misuse of staff and government funds. Prosecutors were ready to ask a grand jury to indict Dukes just before she announced her retirement, according to the Austin American-Statesman. Despite the cloud over her office, Dukes, who has served in the House since 1994, earned about 70 percent of the vote against Republican challenger Gabriel Nila and two minor-party candidates earlier this month. 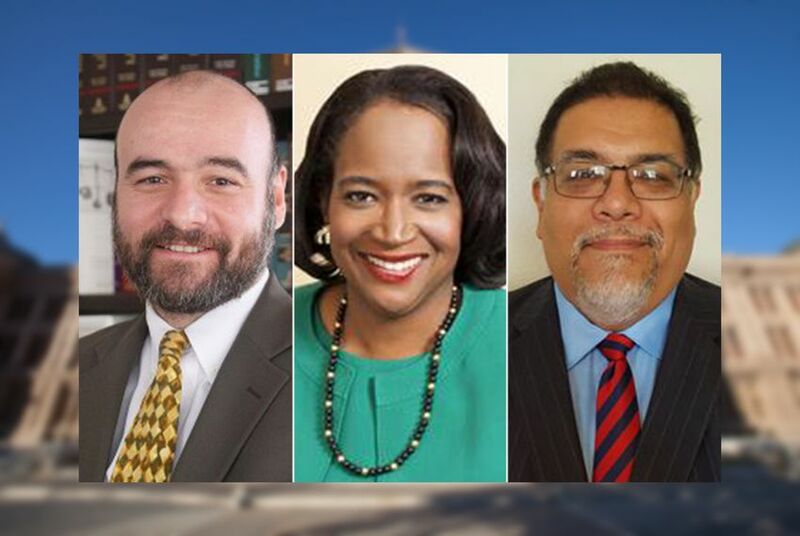 Dukes' House District 46 includes parts of Austin, Pflugerville and Manor. Dukes has said her resignation will take effect on Jan. 10, the opening day of the 2017 legislative session. Gov. Greg Abbott has 20 days from receiving Dukes' letter of resignation to announce the date of a special election to fill the seat, according to the Governor's office. Is he running? Yes. He said he will run in a special election to replace Dukes on the same platform as his recent failed bid for the seat: decriminalizing marijuana possession, working with public schools to improve funding and fighting gentrification in East Austin. Is she running? Yes. Cole told the Tribune that she’s received "a lot of encouragement" from the community and local activists to pursue Dukes' House seat. She said Austin has “some new challenges in a post-Trump era” and that the district needs a strong leader to focus on important issues like education economic disparity and affordable housing given state lawmakers' history of focusing on “wedge issues” such as bathrooms and border security. The 42-year-old attorney has lived in the district for 12 years and sits on the city of Austin's Planning Commission. He is the former board chair of the Workers Defense Project, a law firm dedicated to serving immigrants. Is he running? Yes. Vela said the district needs a strong, progressive Democrat to represent it in the Texas Legislature. If elected, Vela said he hopes to fight back against the “attack on voting rights” and privatization of education and health and human services. In addition, he said he hopes to help working-class Texans and wants to “kill any [anti-immigrant] bills." In September, KXAN reported that Joe Deshotel, son of state Rep. Joe Deshotel Sr., D-Beaumont, may run for the open seat. However, in a recent interview with the Tribune, Deshotel said he would not be running. Adam Greely, the Green Party candidate who ran against Dukes in the November election, did not immediately respond to a request to comment on whether he’d run in a special election.